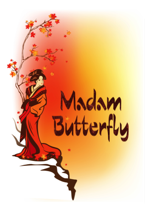 Madam Butterfly belongs to that elite group of operas, like Carmen and La Traviata, that were an unmitigated fiasco at their première, but subsequently were among the most popular in the repertoire. Interestingly, Puccini had never been so confident of the success of an opera but the original production unfortunately exceeded the stamina and indulgence of the La Scala audience. 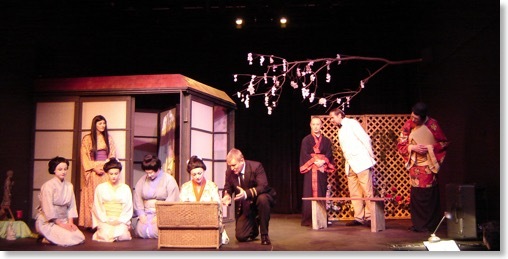 After several revisions, the tragic story of the geisha who enters into a temporary marriage contract with an American naval officer who later abandons her to marry a proper American wife, went on to earn the success it enjoys today. The spirited contrasts of fun and pathos of Puccini's enchanting melodies accompany an imaginative new translation, performed with a cast of the finest professional singers and the Commedia Virtual Reality Orchestra. 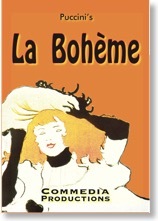 La Bohème is unique, not only for the quality of the music but also for the ingenious treatment of the characters and their social interplay. At the time the opera was written this treatment was unusually radical yet, interestingly, the issues dealt with are still pertinent today. The charm of the tragic love story between Mimì and Rodolfo is irresistibly contemporary and guarantees a lively and moving production. 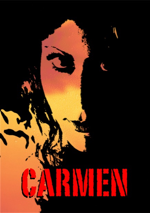 Carmen can lay claim to be the most popular opera ever written. 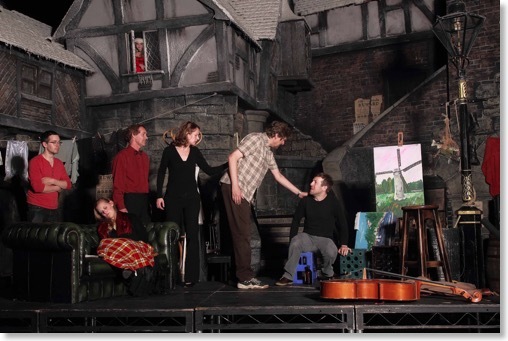 It is a perfect blend of drama and pure entertainment and has some of the most memorable melodies in the repertoire. Its extraordinary success has led to its adaptation as a Broadway musical and several Hollywood films and the score has been the inspiration behind innumerable popular songs. The opera relates the story of Carmencita, a gypsy femme fatale, who is murdered in a fit of jealous rage by her lover, José. Carmen`s blatant sexuality, her readiness to discard men like plucked flowers, the manner of her ultimate demise and the behaviour of the chorus of rowdy women who both fight and smoke on stage, shocked audiences for almost 50 years. Mozart’s final theatrical masterpiece is an exotic cocktail of ritual and symbolism and perhaps a dash of pantomime for good measure. 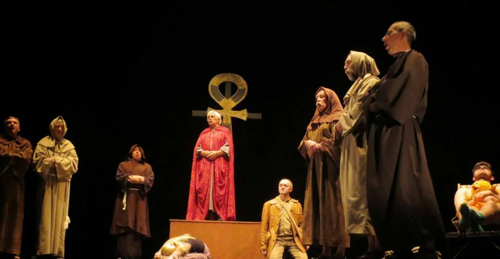 Not strictly opera in the traditional sense - it contains spoken dialogue in much the same way as Bizet’s Carmen - it is a playful but profound look at man’s search for love and his struggle to attain wisdom and virtue. Sung in English and accompanied by the Virtual Reality Orchestra. 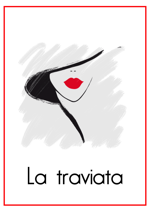 La Traviata epitomises the traditional concept of Grand Opera. 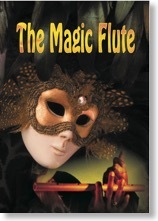 The plot runs the gamut of human emotions and is set against a background of glamour and dazzling colour. Yet the first performance in 1853 at La Fenice in Venice was a complete fiasco, largely because the setting was thought too modern, the plot scandalous, the score excessively innovative and the prima donna’s generous proportions were considered physically inappropriate to the role of the emaciated, consumptive heroine. But the revival a year later was a tumultuous success. 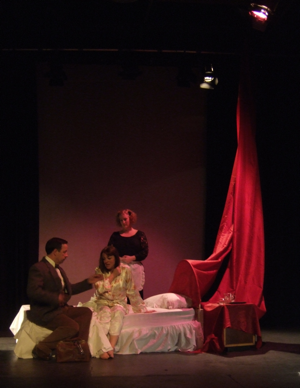 At the time, La Traviata represented a new development in romantic opera in its treatment of the heroine. No longer was she a victim of violent, passionate emotions, but more of subtle and refined feelings of tenderness, pain, love and resignation. These qualities permeate a role of formidable vocal and histrionic proportions, requiring of the interpreter vocal displays typical of the “bel-canto” era, together with the more intense and sustained vocalising that is so much a part of “verismo”.